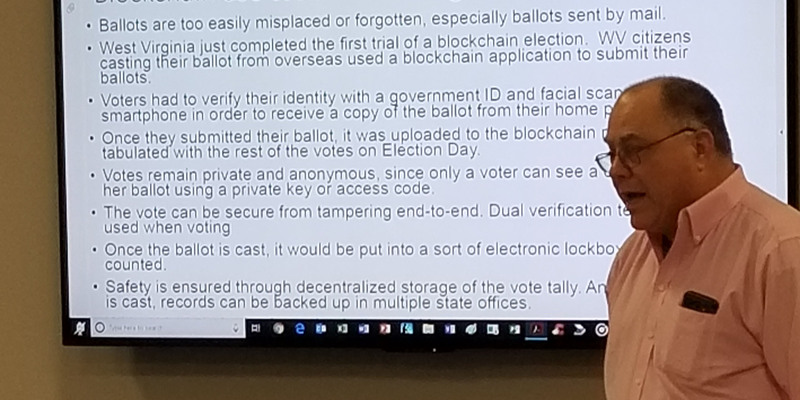 The presentation on Block Chain, given by our fellow SIM member John Carne (with some added information from Charlie Hewitt) was one of our best events yet. Everyone in attendance was treated to the “Real Story” on Block Chain. Misconceptions of its relationship with crypto-currency were laid to rest and everyone commented on how fascinating it was to see the real business application of the technology. Our thanks to John and Charlie for sharing their expertise with the rest of the group. Also a big thanks to AAA of New England (Bill Dziura) for hosting us at their beautiful facility.